Thank you to everyone who joined us for our ‘Hello Spring’ event on Friday 6th April. 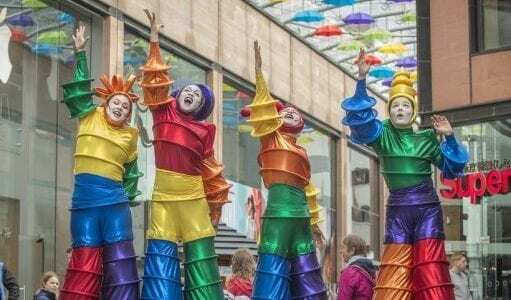 The centre came alive with colour including the rainbow stilt walkers, umbrellas, vintage carousel, live music and the style/beauty area. Our album of photos from the event can be found on our Facebook page.